Around 100,000 civilians are trapped in ISIS-held areas of West Mosul, a human shield that is facing starvation and violence, warned the UNHCR’s representative in Iraq on Friday, June 16. Those that try to leave are shot by snipers. While the battle to capture Mosul, Iraq’s second city and the ISIS’s defacto capital in Iraq, has continued to make progress since it was launched nine months ago, the battle has displaced 862,000 men, women, and children from their homes. The winding corridors of the dense city must be retaken on foot, building by building, street by street. Iraqi and coalition forces are meeting fierce resistance from ISIS fighters, said UNHCR representative Bruno Geddo at a news briefing in Geneva. Food and water have all but run out while the fighting rages on all sides, leaving people in “penury and panic,” said Geddo. The labyrinthine streets of the old city and the desperation of ISIS fighters has raised the risk of civilian casualties. The U.N. Refugee Agency has built 13 camps in northern Iraq to temporarily house those fleeing the city and surrounding areas. “People coming out of west Mosul are deeply traumatized. They have seen unspeakable things,” said Geddo. Over 370,000 are being aided in camps, with another 144,000 receiving aid in east Mosul, or in abandoned buildings. Around 195,000 have returned mostly to East Mosul, but live in precarious conditions, he said. Beyond the threat posed by ISIS, another threat awaits some civilians due to the tradition of collective punishment practiced by some Iraqi tribal societies. Families that had a member who fought with ISIS can face severe punishment. “Collective punishment means in a deeply tribal society that you see evictions, destruction of property, confiscation of property for families perceived as being associated with ISIS because one family member might have been having that link,” said Geddo. 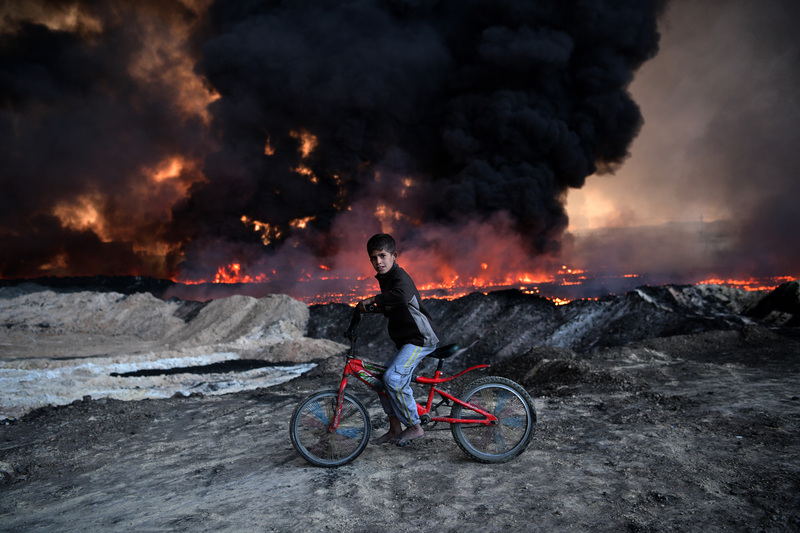 Many ISIS fighters are taken as child soldiers and forced into fighting. The impact on future Iraq society if collective punishment is used is worrisome to the UNHCR. “This is a very critical point for the future of Iraq. Because it is essential to uphold the rule of law, to pursue those who committed crimes through the court system, the judicial system, rather than applying tribal custom,” he said. 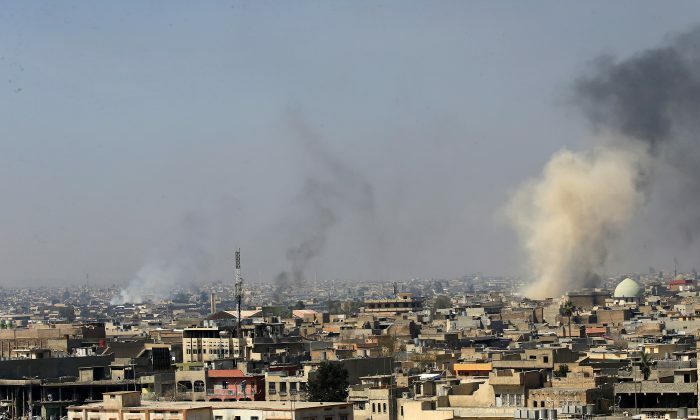 Human Rights Watch reports that at least 26 bodies of blindfolded and handcuffed men have been found in government held areas in and around Mosul since the battle to retake the city began. Local armed forces told foreign journalists that 15 of the men were extrajudicially killed by government security forces under suspicion of ISIS affiliation.